You can feel proud to give these Communion gifts to your niece, nephew, son, daughter, Godchild or grandchild. 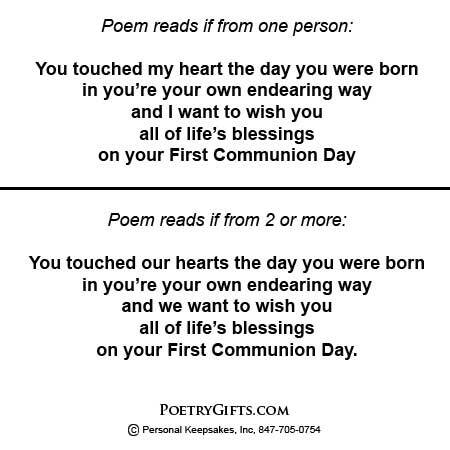 The sweet poem wishes him or her all of life's blessings on their First Communion Day. Answer the personalization questions below to create a Communion present to treasure. 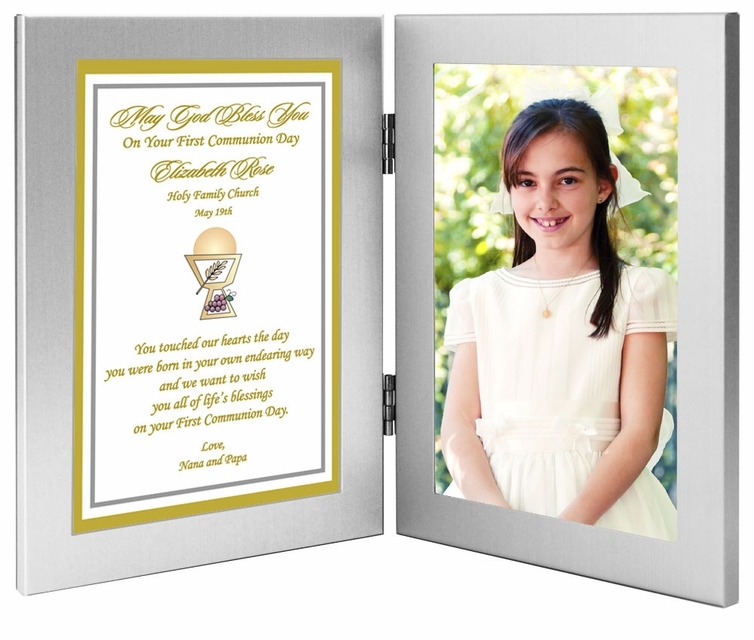 First Communion gift personalized Poetry Gift. 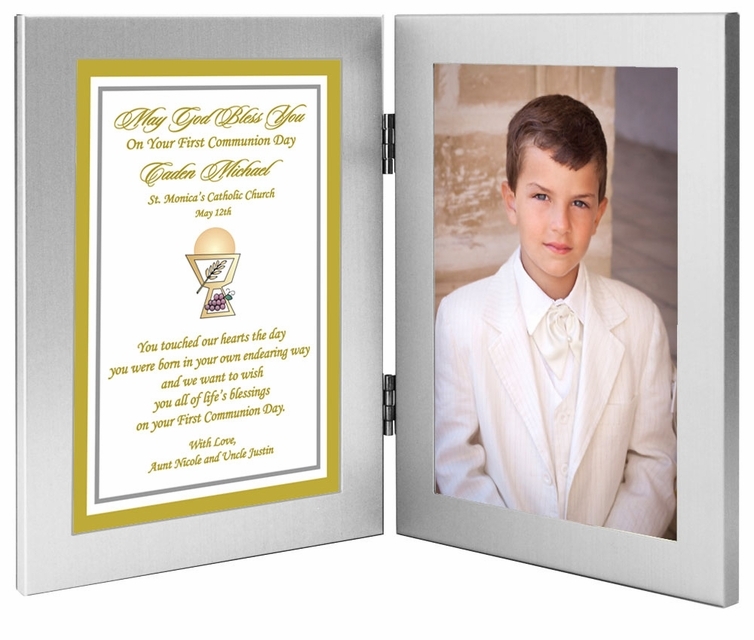 The attractive brushed silver attached 4x6 inch frames make a unique Communion gift for the special girl or boy. Really nice first communion keepsake. The God Bless You ribbon on the bear was really cute. Got the gift in time. Thanks for putting a rush on it. Teddy bear is cute and the verse is so meaningful. Thanks again for helping me out. I'll definitely use your company again.